And this, far from being something which is treated as worrying, is actually seen as favourable. It’s almost a badge of honour to be able to say to people that you have been too busy to eat/sleep/have a social life/be a human being. Too many people are falling into the trap of thinking that being busy to the exclusion of everything else in their lives is a good thing. We are now becoming more and more aware of how bad it actually is; and research is being done into how to combat it and ensure that everybody takes some time for themselves. Rather than being busy all the time and finally burning out at the end of it all. Being busy and stressed all the time isn’t good for your body or your mind – it can have negative effects on your life and your health in particular. 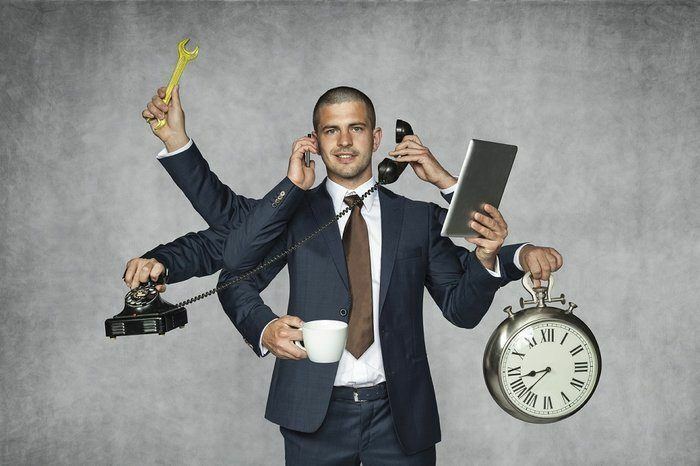 This article will look at the ways in which being busy can be detrimental to you overall. You might think that this should be obvious – being too busy can kill creativity. Researchers who carried out a simple word association test: found that the people who were busier and had more on their minds were less creative in their answers than people who were at their leisure. It was found, more specifically, that people who had more to remember had their replies stripped back to the most statistically common answers. Whereas people who had very little to remember were able to come up with less stereotypical responses. This was not a function of them having less time than was necessary for the task. Even with plenty of time, the group with lots to remember still could not progress beyond the simplistic answers they gave. This effect is what many people have found in the real world as well as in the lab; and understanding what it has done and is doing to our creativity is vitally important for changing things. Having too much on your mind is something which can blunt creativity; and so stop you from either advancing or expanding on your current career. If you want to continue to move forward and see where your path can take you, losing your creativity can be devastating. If you are too busy, it can actively keep you from moving forward with your life. I have been experiencing this myself recently. Actively being kept from moving forward with my plans and my life in general. Creativity needs some mental head-space for it to really thrive. If you are too busy, it can keep you from looking at other possibilities and other thoughts; and keep you on one particular path rather than trying to diversify and see what really works for you. Being so busy that your creativity is stifled is what can lead you to prioritise the wrong things, something which can be bad overall. When you are too busy to think, you can be too busy to truly see what is going on; and sometimes that means you can miss things that you would not otherwise miss: other creative opportunities, other jobs which will push you beyond what you are doing now. Being busy can stifle you by keeping you from seeing where you are. Many people, especially as they get older and more established in their careers; have a particular way they want their career to go. And they have specific milestones set that they want to look out for, to help them get there. Being too busy can keep you from tracking your progress, and therefore can keep you from truly advancing in your aspirations. Ideally, every step you take in your career should be focused on how it can help you proceed to the next stage. Even if you are planning on staying at that level for a while. if you are too busy, you can feel unable to truly think beyond what you are doing; and about how to reach the next part of your plan. This can mean you end up stuck in one particular level for a long time. Perhaps even so long that the opportunities you were going to take advantage of, have gone completely by the time you get around to them. When you are very busy, you will find that you are simply moving from one task to the next; there is usually very little thought put into each individual work-piece, because there is simply no time to put the effort in. When people are busy, they don’t have the time to add any extra flair to their work that creativity might otherwise give. Being too busy means that you are focused on getting as much work done as possible. But that does not mean that the work being done is your best work. You are at your best when you can actually take the time to breathe, and to look over your work at your leisure. Not only will that help you improve generally; it’s easier to see mistakes when you aren’t rushing. You will find that you are able to bring so much more to the table when you aren’t rushing. Working this hard is bad for your health. It is bad for everything else, but particularly for your health. If you work this hard, you will find yourself cutting back on sleep, proper food, and a proper social life. Having no space to stretch your creative muscles, or to go on to other things, is detrimental overall; because you have sacrificed food and sleep for stress and overwork which is ultimately in the service of very little. Sub-par work is all that most people have to show for their efforts after a long period of overwork. Give how bad too much work can be for creativity, perhaps the people who order essays from sites like Essay Zoo have the right idea after all. This article has not covered all of the effects of overwork. But it has covered enough to hopefully make people think twice before they willingly accept being in a position of having too much work to comfortably do; while also having to sacrifice every semblance of a normal life to get everything done. Too much work is bad for creativity especially, as there is no room for anybody to think beyond what is absolutely necessary for their work. You are right on point. Being busy don’t often turn out to make one to be more successful. Earlier, we used to think it’s a way of boosting our ego, not knowing it’s foolishness. Sometime last year, I almost lost my sight, had some memory problem and even endangered my health because I was too busy to cater for myself. If you want to live a creative life as an entrepreneur, you must make every effort to stop being too busy for the things that matter.